As the most popular game worldwide on Google Play, Pokemon Go stole the hearts of gamers when it first launched. After the tracking tool released, this new feature quickly attractted gamers' attentions. This new version of the feature debuted a while back and was only available in San Francisco, California. This was done to test the waters and make adjustments depending on the feedback the company received. Now that the feature is spreading out to more regions, Niantic will continue to listen to its users in a continued effort to improve the game. Prior to this expanded release, the feature was rolling out only to states west of the Mississippi, as well as certain regions in Canada, and all of Australia. This push was followed by an update from Niantic on the current state of Pokemon Go, as well as what’s in store for its future. "We will be expanding the Nearby Pokemon feature to the rest of the continental United States and large parts of Europe. We will continue to review the feedback submitted on our official social media accounts and in other channels and make changes if necessary." The new tracker for Pokemon Go is slowly becoming available to all of the continental United States, which unfortunately doesn’t include Alaska and Hawaii, and “large parts” of Europe, according to developer Niantic. Officially referred to as the Nearby Pokemon feature, it will alert users to nearby points of interest, essentially revealing spots in which to catch Pokemon. Start by clicking on the tracker in the lower right: it should look like a couple small Pokemon images, if there are any nearby. You’ll see a list of creatures, each of them next to a small photo. That’s the photo associated with the Pokéstop that the Pokemon is near. If you recognize it, go find it. If you don’t, you can click the various Pokestops around you until you see the picture that matches the one in the tracker. At that point, you’ve just got to go to the stop. If you haven’t been there before, keep an eye out for the thing you saw in the picture. This game is all about exploration, after all. When you click on a monster in the nearby page, it will bring up an enlargement of the Pokestop, with some footprints beneath. Click the footprints to start tracking the monster: the map will zoom out to show you precisely where to find it, and it will now be marked by a little pink icon on your map. And presto: there’s your Pokemon. It certainly takes the guesswork out of the system, and you can just walk over to go catch the thing. Go quick before it despawns. 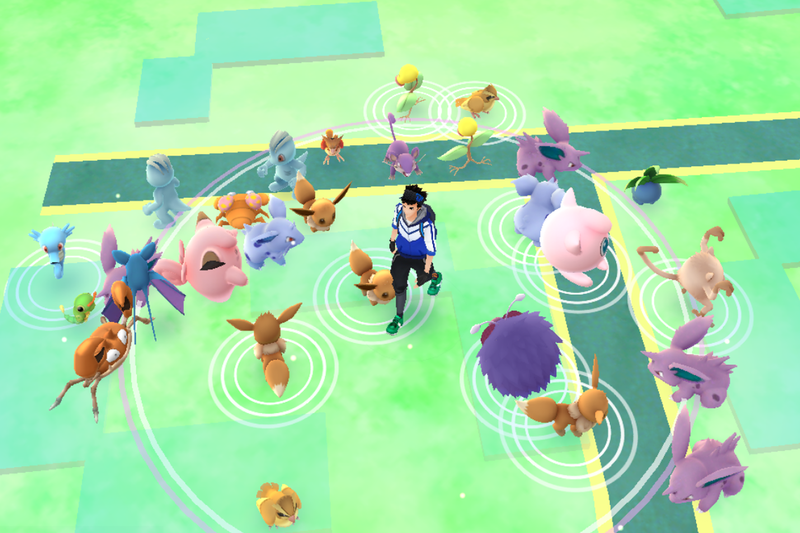 For more information on the Nearby Pokemon feature, head on over to the PokemonBux site. They also provide cheap pokemon go account and pokemon go rare pokemon for sale. More news about Pokemon Go should be made available very soon.